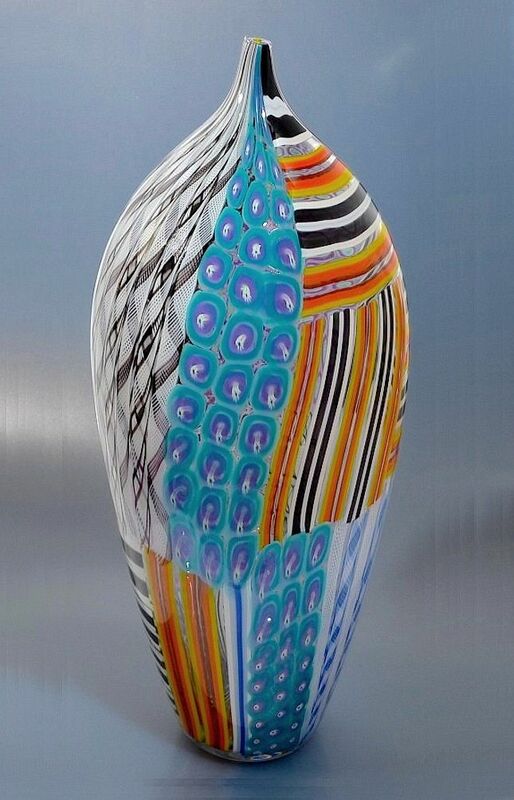 This elegant elongated balaster shaped necked vase was made in 2009 by Michael Hunter for Twists Glass. It comprises zanfirico, murrine and tessera canes in white, black, blue, purple, turquoise, red, orange and yellow, all laid out in a patchwork pattern. It is signed "M Hunter Twists 09 Zanfirico" A veritable feast of techniques and another wonderful unique non-production piece!